The building is owned by the MOMA, and it gets in the way of upcoming MOMA expansion plans. The American Folk Art Museum opened on West 53rd Street in Manhattan in 2001, lifting the spirits of down-trodden New Yorkers who were still recuperating from the September 11 attacks. With its bold sculptural bronze facade, the building was praised for its bold architecture and instantly became a Midtown icon. The building, owned by and adjacent to the Museum of Modern Art, gets in the way with the MOMA's expansion plans that will connect to a new tower with floors for the MOMA on the other side of the former museum. MOMA officials say the building's design does not keep with the glass aesthetic of the rest of the museum, and that the floors would not line up. 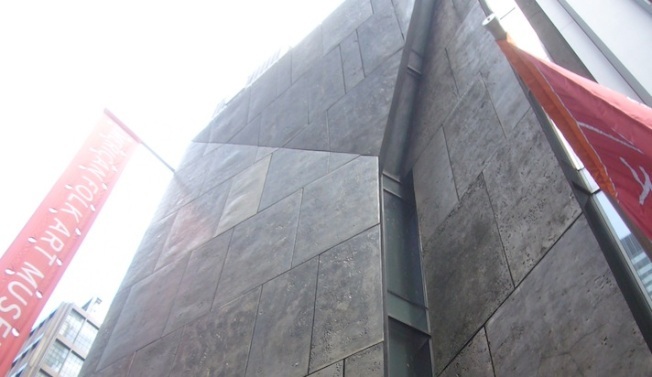 That makes the American Folk Art Museum building, designed by Tod Williams and Billie Tsien, one of the shortest lived architecturally ambitious projects in Manhattan. “It’s very rare that a building that recent comes down, especially a building that was such a major design and that got so much publicity when it opened for its design — mostly very positive,” said Andrew S. Dolkart, the director of Columbia University’s historic preservation program. “The building is so solid looking on the street, and then it becomes a disposable artifact."